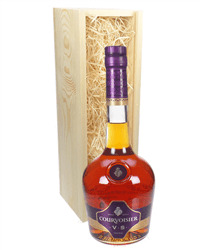 Courvoisier VS is a light and uplifting Cognac reminiscent of a French era of artistic freedom and extravagance. 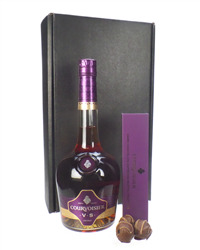 Our range of Courvoisier Cognac gifts include a bottle on its own or choose to send it with chocolates, pate or even an adorable teddy bear. Simply order online or by phone and we will deliver your gift on the date of your choice with your personal gift message.